In this article we'll go over viewing your website's statistical report available from Webalizer in cPanel. Webalizer can provide you with a quick general overview of the website traffic you've been receiving, this includes the amount of hits, file requests, page loads, and visits. Under the METRICS section, click on Webalizer. Under the View column, click on the Magnifying Glass. 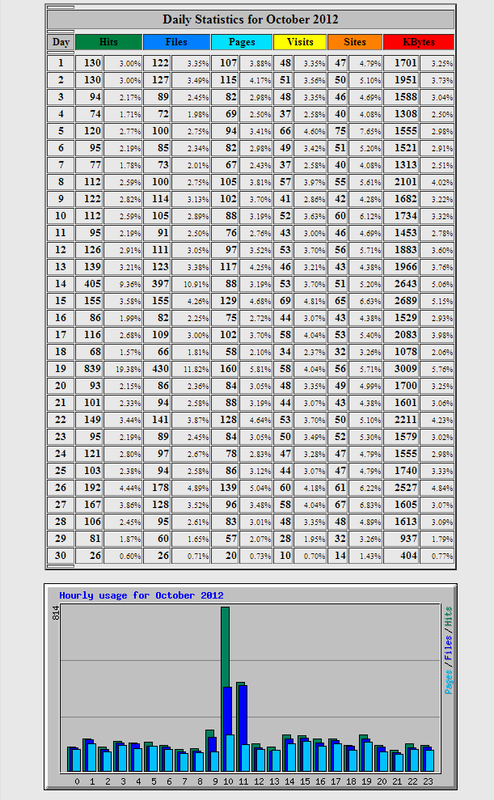 Click on the particular month you'd like more details stats on. You'll now have a detailed page for the selected month, you can either click one of the links at the top to jump to a particular section of the report, or simply keep scrolling down the page. You should now know how to view your stats reports using Webalizer, which should help you get a general idea of where your traffic is coming from. Is there any way to give a user access to the stats section only? We want our sales team to access our web statistics without giving them the ability to bring the site down or view user mail. since you can allow access to specific Google accounts. 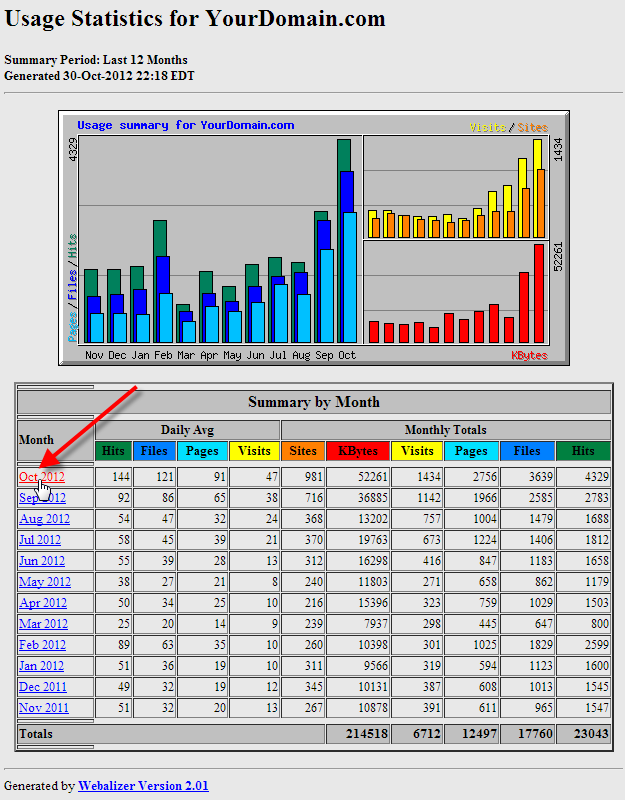 It also provides more detailed traffic information, as well as information about your site's search ranking. 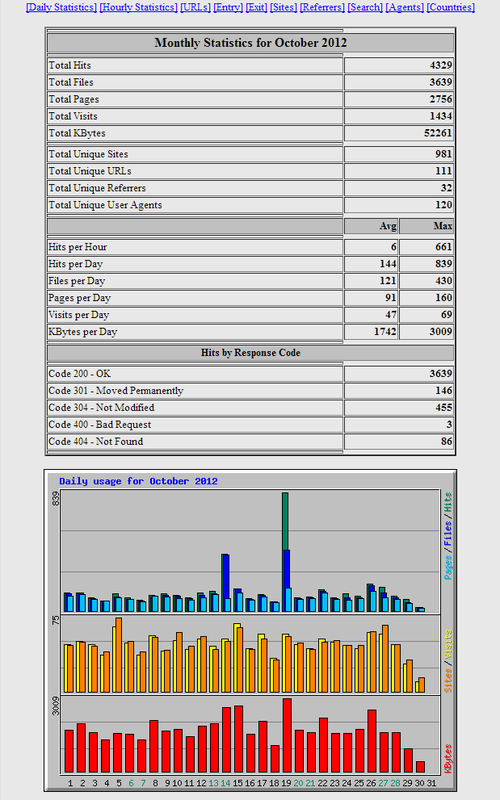 Why do the stats on the Webalizer page not match the stats on the Awstats page? In particular the Webalizer is showing the website receiving a significant of amount of his more than the stats shown on Awstats. They track slightly different types of stats. If you look at Awstats, it has "Unique Visitors" & "Number of Visits". Webalizer only shows "Visits" and between the two stats systems, their numbers don't necessarily match. Of the two, Awstats is probably the better. You can find more about Awstats by going to this link. Wondering what to do in the case where the site recently converted to SSL. Do I combine stats from both the non ssl and the ssl?? 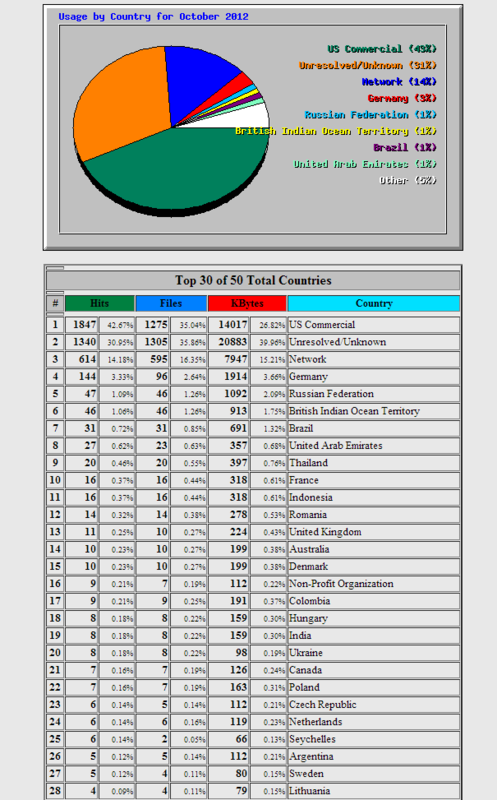 Seems both are showing quite of bit of visitors in webilizer. Should the non ssl be showing zero??? Thanks for your comment regarding the HTTP vs HTTPS statistics in Webalizer. I was unable to find a way to combine the stats together in Webalizer. However, you can force https access to your website via your .htaccess. This will force all your visitors to use HTTPS when accessing your website. Therefore, Webalizer logs will all be under the https (SSL) option. I hope this helps!